The best all-rounder in the field, brought to a whole new performance level. Ride faster, more comfortable and with increased puncture protection. Made to make you better. Includes 2 Continental Grand Prix TT tires. Get on the Kona German freight train with the Continental Grand Prix TT. Slime Smart Tubes are factory-filled with a precise volume of SLiME Tube Sealant. Smart Tubes instantly seek out and seal punctures as they occur, preventing flats, repeatedly and continuously for up to two years. Ride without worries. Fits 700 x 28-35. Presta Valve. Includes 2 tires: Grand Prix Attack/Force Combo TPS-700 x 22/24 Black Tire with Black Chili Compound. 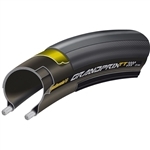 The Continental Grand Prix 4-Season is a clincher folding road tire, offering an optimal combination of high mileage and function in low temperatures. The Continental Grand Prix 4000S II Clincher Folding Road Tire is Continental's flagship tire, featuring advanced Black Chili compound for low rolling resistance and sensational grip. Includes two Maxxis Welter Weight tubes 700x18-25, 60mm PV. 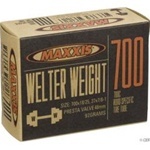 Maxxis Welter Weight tubes are engineered for aggressive riders who require durability in their inner tubes. The middle-weight tubes in our line are targeted to all disciplines of riding. Fits 700x18/25. 60mm Presta Valve. Includes two Maxxis Welter Weight Tubes. Slime Off Road Tube, 29 x 1.85-2.2"
Slime Smart Tubes are factory-filled with a precise volume of SLiME Tube Sealant. Smart Tubes instantly seek out and seal punctures as they occur, preventing flats, repeatedly and continuously for up to two years. Ride without worries. Fits 29 x 1.85-2.2". Presta Valve. 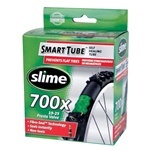 Slime Off Road Tube, 26 x 1.75-2.125"
Slime Smart Tubes are factory-filled with a precise volume of SLiME Tube Sealant. Smart Tubes instantly seek out and seal punctures as they occur, preventing flats, repeatedly and continuously for up to two years. Ride without worries. Fits 26 x 1.75-2.125". Presta Valve. Maxxis Welter Weight tubes are engineered for aggressive riders who require durability in their inner tubes. The middle-weight tubes in our line are targeted to all disciplines of riding. Fits 700x18/25. 48mm Presta Valve. Weigth: 84g. Slime Smart Tubes are factory-filled with a precise volume of SLiME Tube Sealant. Smart Tubes instantly seek out and seal punctures as they occur, preventing flats, repeatedly and continuously for up to two years. Ride without worries. Fits 700 x 19-25. 39mm Presta Valve.